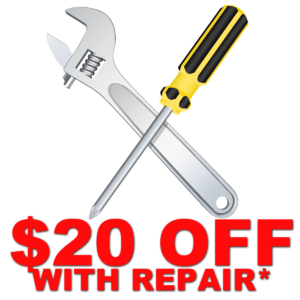 Call us today to work with the most honest and trusted repair company you can find! Dishwasher repair can be tricky. The reason for this is just how many components make up this kitchen appliance. There are several things that can go wrong with dishwashers and isolating the individual part can be tricky. Our service technicians will take the time necessary to properly inspect and diagnose your dishwasher’s problem and repair it. 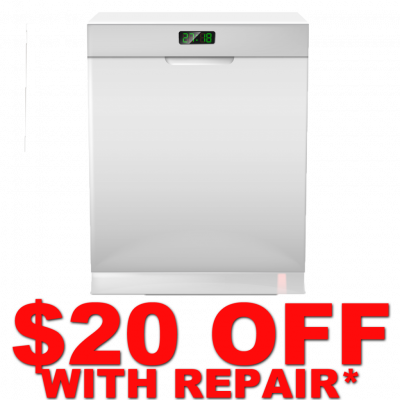 ALWAYS contact a professional when you are dealing with a dishwasher repair need. Because your dishwasher is connected to your water line, a worse problem would be water flooding your kitchen floor. Since there are so many moving parts to your dishwasher it is hard to pinpoint what might be wrong with it. While there are “energy efficient dishwashers” on the market, they won’t provide you the same savings like a fridge or dryer will. After our service technicians properly diagnose the issue they will work with you to explain your repair options and help you determine if a repair or replacement is in your best interest.